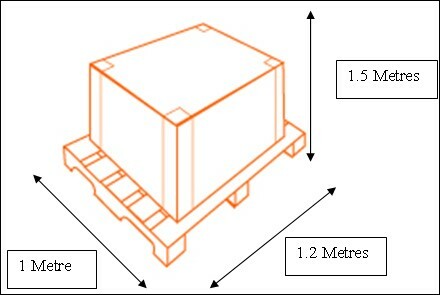 All freight transportation modes are governed by weight and cubic measurement factors, whereby the Carrier will charge on Actual Weight or Volumetric, whichever is deemed to be the greater. The Standard (RHA-Road Haulage Allowance) Factor for Road Freight is 3 Cubic Metres per 1,000 Kilos, whereas the Standard Maritime Allowance Factor for Ocean LCL Groupage Freight is 1 Cubic Metre per 1,000 Kilos. Let’s assume the actual Gross Weight Skid is 150 Kilos, this Skid measures 1 Metre X 1.2 Metres X 1.5 Metres, which is 1.8 Cubic Metres. 1.8 Cubic Metres X 333 = 599.4 Kilos, so the Chargeable Weight is based on 599 Kilos. In this instance the Freight Charges for Ocean Freight are calculated as 1.8 Cubic Metres X 1,000 = 1,800 Kgs, so the Chargeable Weight is based on 1,800 Kgs.